Felimazole Tabs 2.5 mg, 100 Tablets are a prescription pet medication used to treat hyperthyroidism in cats. There is no cure for hyperthyroidism, but Felimazole can be taken throughout life to control symptoms. 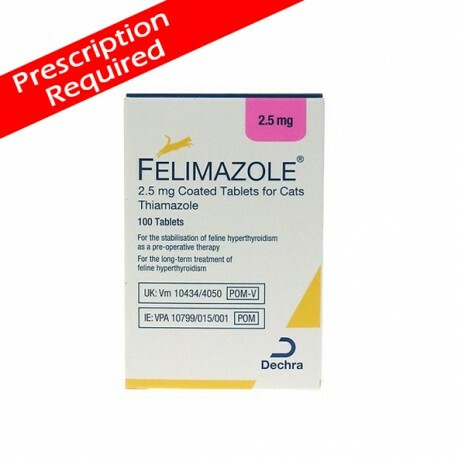 Felimazole Tabs 2.5 mg, 100 Tablets are a prescription pet medication used to treat hyperthyroidism in cats. There is no cure for hyperthyroidism, but Felimazole can be taken throughout life to control symptoms. 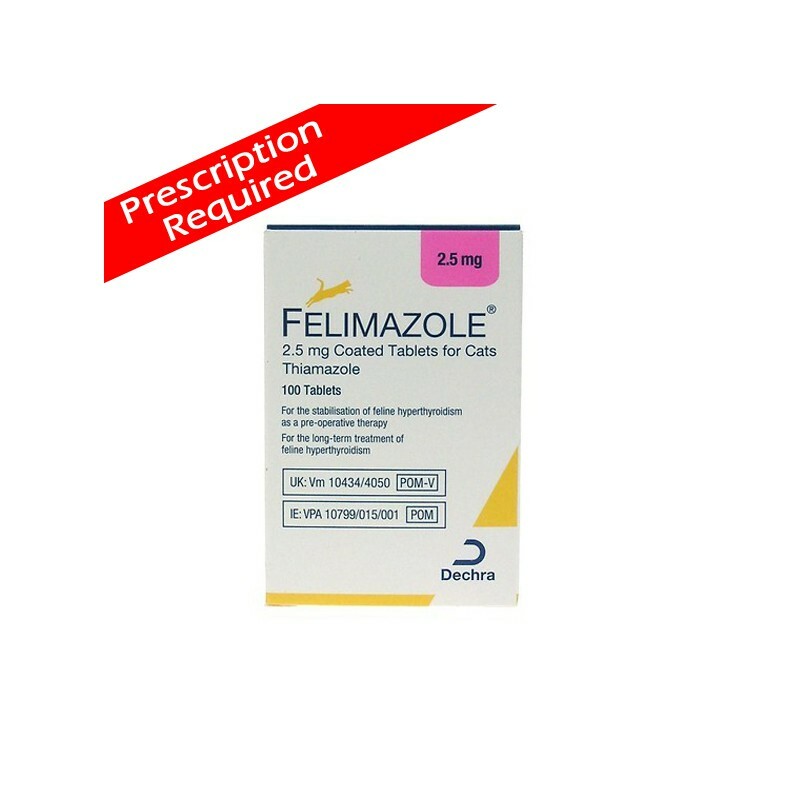 Felimazole controls the increased thirst, urination, weight loss, increased appetite, and other symptoms associated with feline hyperthyroidism.